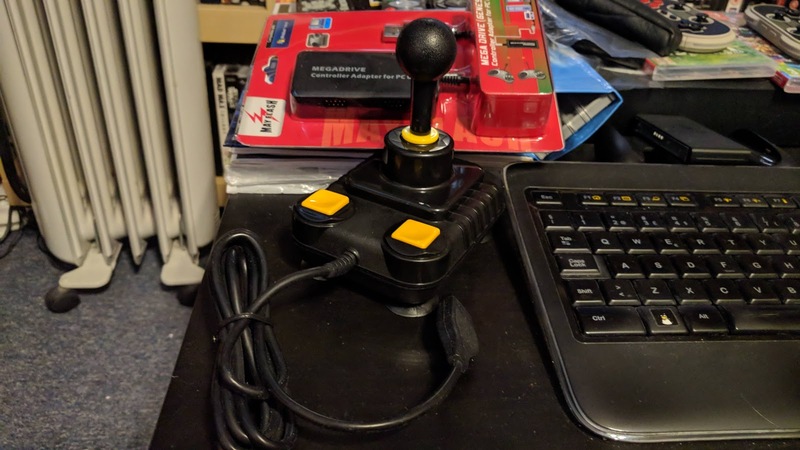 1987 ZipStick® joystick. This yellow buttoned joystick uses micro-switches and has a triple fire action, and is THE best joystick I have ever used / abused. It can withstand practically ANYTHING! Got hold of a near-mint copy (a few scratches on the housing and dirt beneath the screws), which tested OK and working on an Amiga A600 + Amiga A1200. SCORE!